Every golfer dreams of winning a Major Championship. 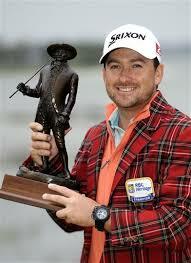 For Graeme McDowell, that dream was realized with his victory at the 2010 U.S. Open at Pebble Beach. But what most golfers don’t think about is the adjustment period that comes after a huge win like that. In other words, winning a Major changes a player’s life, and it’s not easy to get back into the same swing of things. For McDowell, that was a harsh reality in 2011, in the 12 months following his win at Pebble Beach. There were struggles, missed cuts, and now wins. “…2011 was a year of understanding who I was and where I was going as a major champion and dealing with the pressures and expectations,” McDowell said following the win at Harbour Island. But on Sunday at the 2013 RBC Heritage from Hilton Head, McDowell was able to get his first PGA Tour win since that U.S. Open win roughly three years ago. It’s been a long journey back to the top for McDowell, who moves from 50th in the FedEx Cup Point Standings all the way up to sixth. And the win also arrives just in time with the full swing of Major Championship season in play with the U.S. Open coming up in June. Don’t think that winning a Major Championship can have a tough period of adjustment though? Just ask Bubba Watson. Since his win at the 2012 Masters, Watson has not won on the PGA Tour either, and has struggled to make cuts at times during the last 12 months. The fact of the matter is that winning a Major Championship is the ultimate feeling for a golfer. But even Watson said it himself after his Masters win when he stated that he never made it this far in his dream as far as the interview after and from there on. The demands for a Major champion are higher, and perhaps players like McDowell and Watson have even more respect for players like Tiger Woods and Phil Mickelson. While one might imagine that winning a Major Championship relieves some pressure, in actuality it probably puts even more on the player to try and duplicate it. Because the player knows that they can win one, they can sometimes try too hard and thus, end up coming up on the short end of the stick. But anyone who plays golf knows that the game is always a work in progress. For McDowell, this win at the RBC Heritage might mean as much to him as that U.S. Open victory three years ago. This entry was posted in Opinion, PGA Tour Betting Odds and tagged 2010 u.s. open, 2013 rbc heritage, bubba watson, graeme mcdowell, phil mickelson, tiger woods on April 22, 2013 by Bryan.